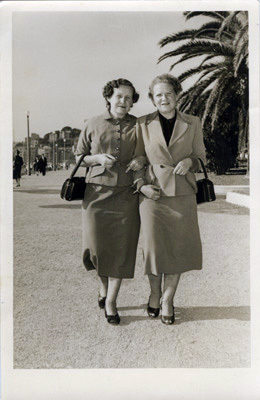 Germaine Ajzensztark (left, Francine's mother) and Fela (Feiga) Dembeus (right, Francine's aunt) in Cannes, France; late 1950's. Both her mother and aunt were survivors. Her aunt survived in Belgium with her whole family.